Vector image set with weird cartoon characters. Faces with different features, hairstyles and accessories. 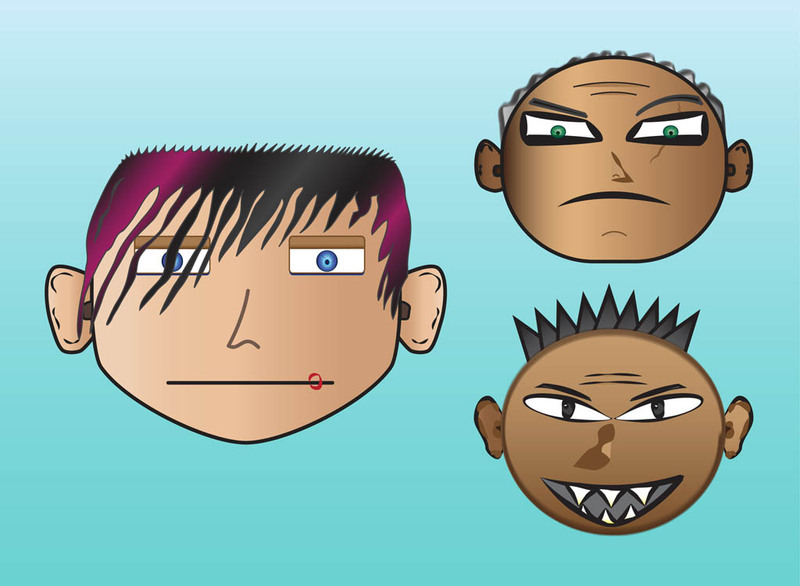 Sad emo kid with labret piercing, mad old man with big scar and tan young man with sharp teeth and spiky hair. Free vector characters for brand mascots and comic books visuals. Tags: Angry, Cartoon, Comic, Emo, Evil, Heads, People, Sad.